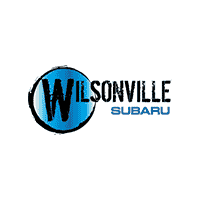 Directions to Wilsonville Subaru from I-5 South: Take exit 283 for Wilsonville Rd., turn right on Wilsonville Rd., take the first left for SW Boones Ferry Rd., turn left on SW Bailey St. Directions to Wilsonville Subaru from I-5 North: Take exit 283 for Wilsonville Rd. and exit using the left lane for convenience, turn left on Wilsonville Rd., turn left on SW Boones Ferry Rd., turn left on SW Bailey St.